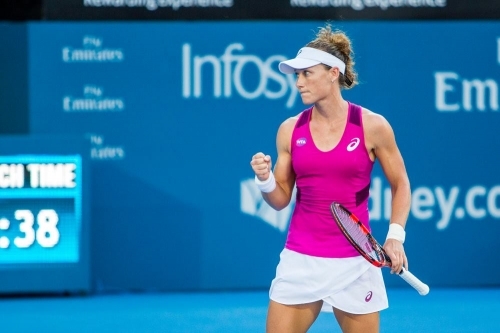 Grand Slam Champion, Samantha Stosur, is currently ranked No.21 in the world after impressive performances at the 2016 French Open, Madrid, and Prague. In 2016, Sam defeated top players Simona Halep and Lucie Safarova, on her way to the French Open semifinal, her fourth semifinal appearance in 8 years. A semi Final appearances in Madrid and a finalist in Prague, Stosur continues to be one of the most dangerous players on the WTA Tour. The current No.21 first took up tennis at the age of eight after a friend gave her a tennis racquet for Christmas. She used to hit at the local courts with her brother, Daniel who soon realised she had above-average ability and convinced their parents, Diane and Tony, to give Sam coaching lessons. She went away on her first overseas trip at the age of 13, competing in the World Youth Cup in Jakarta, Indonesia and at 14 she joined the Queensland Academy of Sport (QAS) under Geoff Masters and in 2001, when she was 16, Sam moved to the Australian Institute of Sport tennis program. 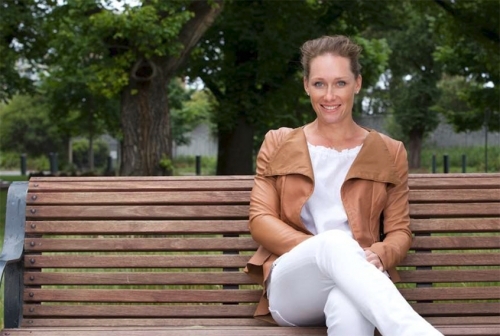 She formed a successful coaching partnership with Craig Morris in 2002 travelling together on the WTA Tour. Craig has played a huge role in Sam’s tennis, both on the court and off and remains a close personal friend. Sam’s first break came at the Australian Open in 2006 when she reached the fourth round. She backed his performance up with solid results which took her to No.27 in January, 2007. In 2011, Sam defeated top players Serena Williams, Vera Zvonareva on her way to the US Open final becoming the first Australian female Grand Slam champion in 31 years. She also recorded wins over Maria Sharapova, Venus Williams, Caroline Wozniacki and Li Na. She was the first Australian in ten years to win the US Open after Lleyton Hewitt’s US title in 2011 and the first female to make it to singles final at Roland Garros since Wendy Turbull in 1979. Both performances have added to her growing reputation as one of the most dangerous players in women’s tennis. She also had great success in doubles, rising to world No.1 in February 2006 after claiming a series of titles. With her doubles partner Lisa Raymond, they won the US Open in 2005, were runner up at the 2006 Australian Open and won the French Open. In 2007, this consistently successful pair won five titles and made it to the semis at the Australian Open, French Open and Wimbledon. Sam won her maiden Grand Slam mixed doubles crown at the Australian Open in 2005 with fellow Queenslander Scott Draper and her second at Wimbledon 2008 with Bob Bryan. While playing at Wimbledon in 2007, Sam was diagnosed with Lyme’s disease which kept her out of the game for eight months. Following this setback Sam started working with David Taylor in April 2008. David has previously worked with four top 15 players, Martina Hingis, Alicia Molik, Magdelena Maleeva and Ana Ivanovic. 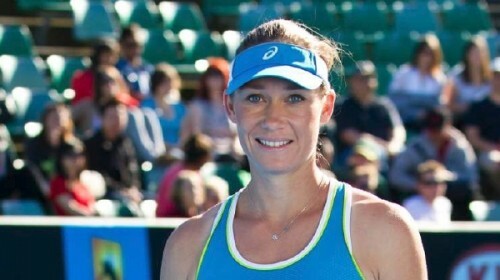 David has been integral to Sam’s game with her ranking rising from 140 to 7 under his guidance and re-establishing her position as Australia’s No.1 player. 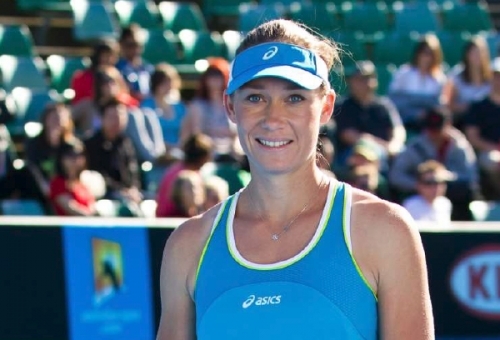 The Queenslander has been a member of the Australian Fed Cup team since 2003 and has been instrumental in the teams rise to the World Group. In 2016 Sam again represented Australia in her 4th Olympic Games. In her down time Sam likes going to the beach, hanging out with friends, surfing and listening to music.